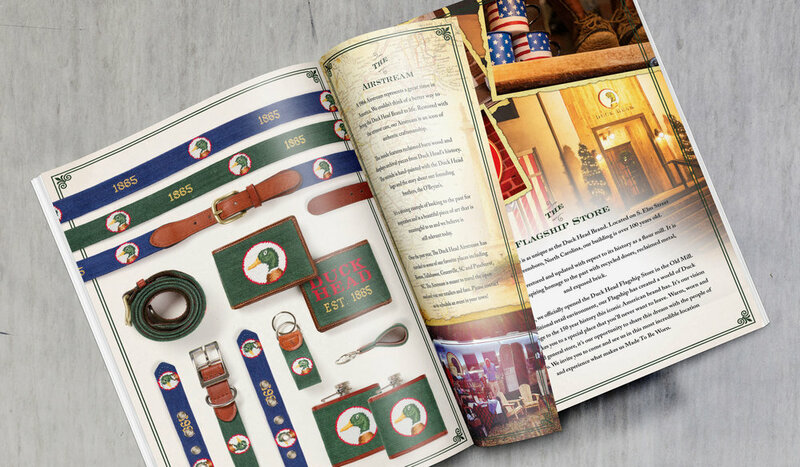 Catalogue design undertaken as part of a lateral move in brand positioning for Duck Head Apparel. In congruence with a fresh, home-inspired aesthetic, all product was shot within the walls of a new flagship store in NC located within a 100+ year-old renovated flour mill. The warmth of the original mill flooring successfully reinforces the new identity, while showcasing the product in an environment that promotes a sense of local culture and longevity.